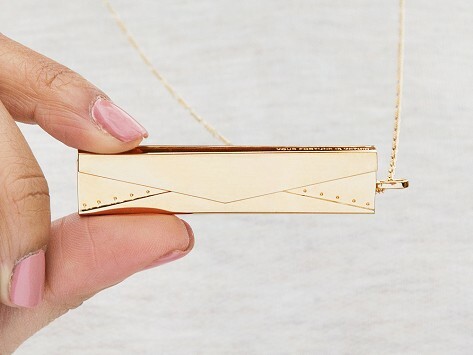 Slip some words of wisdom into this slim envelope fortune locket. The rose gold design frames your note beautifully—where you and others can enjoy it. 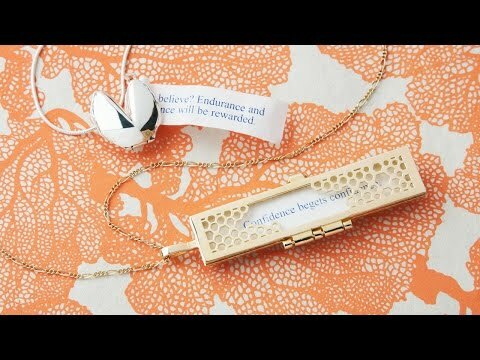 Place your own fortune inside or wear the one we’ve hand selected; the clasp makes it easy to swap out. The sentiment behind them is reminiscent of the classic, heirloom-y locket you might inherit and slip an old photo into—except these necklaces encourage you to look into the future as much as the past. Dimensions: Charm: 2.625" x 0.5" x 0.125"; Chain length: 30"